The Ethnic Cleansing of the "Diaspora Entity"
Professor Emir Ramic, President of the Congress of North American Bosniaks and Mr. Joza Vrljicak, a leading Croatian editor and publicist, as well as leader of the Croat community from Bosnia & Herzegovina and Croatia now in Argentina, have in the last day published separate alerts about the ever greater marginalization of the Diaspora communities of Bosnia & Herzegovina and the state's connections with friends, potential investors or those just wishing to visit the country. Professor Ramic has rightfully noted that while the Diaspora is called upon to invest or just spend and send money for BiH, the Government of BiH and the Office of the High Representative have exhibited no priority in addressing the needs and rights of the Diaspora community. In a similar vein of disregard, three diplomatic representative offices of Bosnia & Herzegovina, Argentina, Bonn and South Africa, are being closed. 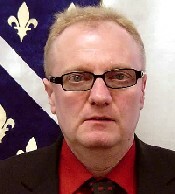 Mr. Vrljicak's petitions demand a review of the alleged motives for closing, as the economic justification seems lacking while the expatriates and friends of Bosnia & Herzegovina feel ignored and distanced from the country, including Medjugorje which has a considerable devotion and travelers from Latin America. The letters and petitions, of Professor Ramic and Mr. Vrljicak and their constituents, must be dealt with urgently and garner an appropriate response, lest the moment is lost with irrevocable consequences. Diaspora is at least 2X as Numerous as any of the Largest Cities in BiH: By Definition, it is the Most Contributing "entity." Bosnia & Herzegovina more than almost any country of its size has such a proportionally large Diaspora community, and of all three ethnic groups: Bosniaks, Croats and Serbs. Fortunately, Bosnia & Herzegovina's expatriates have done well in resuming their professional and business lives in the numerous countries in North and South America, Europe, Asia, Australia and Africa that welcomed our citizens. However, the largest segment of the Diaspora is formed by recent refugees. 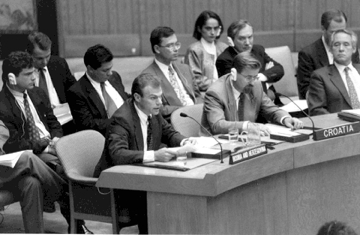 Many were the victims of ethnic cleansing, genocide, and grave violations of international humanitarian law. Their victimization continues as long as their right and opportunity to being a full fledged citizen of BiH is not protected and addressed in the context of Parliamentary and Ministerial Representation. Any normal country looking out for the best interests of all of its citizens would look to hold onto its Diaspora and friends. The Diaspora GNP and economic capacity probably exceeds that of the entire private sector of BiH. The Diaspora and friends contributions to BiH's annual economy have been estimated at over $5 or $6 billion now. That is also more than any promises of funds to be "donated" by foreign governments to BiH's development. (Of course, the promise tends to vary dramatically from how much is actually delivered and how effectively). The contributions of the Diaspora and friends have all come even while much of the official institutions of BiH have yet a way to develop an effective action plan to implement in attracting business investments. Much of the financial impact is still realized from travelers returning for visits and moneys sent back home. However, the Diaspora and friends certainly cannot be defined in just direct monetary impact. They serve as conduits for all means of progress, from technological and educational developments to political support. The Diaspora is urged to lobby in their new countries of residence and citizenship on behalf of BiH, but in fact the influence of the Diaspora is marginalized or ignored with most of BiH's own institutions. The still chaotic situation in BiH institutions and the self defined focus of the Office of the High Representative may be creating an environment where the "squeaky wheel" gets the oil or at least first attention. Well, then as the physically and electorally furthest away from Sarajevo, the Diaspora and friends are not heard above the many other demands, most overwhelmingly credible, emanating from within BiH. However, it cannot be ignored that some forces within and outside BiH would like to complete ethnic cleansing by making refugees permanent emigrants and further cutting off their ties from the cities, villages and lands in BiH from where they came. This assessment is completely logical and validated by the initial plan of "ethnic cleansing" now confirmed by the International Criminal Tribunal for the former Yugoslavia and the International Court of Justice. Any normal official and citizen of BiH would want to encourage investments to Zenica, summer homes in Banja Luka and travelers to Medjugorje. All of these should contribute to the cumulative wealth of BiH and ultimately all its citizens. However, it is also clear that some would rather cut off much of the Diaspora from their mother country even if this means less prosperity and contact with the rest of the world. This can be evidenced by convoluted efforts to deny citizenship as well as residency status to Diaspora members. Unfortunately, some of the "officials" of the international community have allowed this neglect to continue even when it is readily recognizable as an overt effort at disenfranchisement or in furtherance of ethnic cleansing. The pesky Diaspora may not be desirable from their perspective in the political debate within BiH. The Diaspora's voice is the least likely to be intimidated into silence or compliance. However, such an attitude and consequent policies should be recognized as being in direct contradiction to their mandate: to reverse the consequences of ethnic cleansing and promote BiH's democracy and open society, including with strengthened ties and integration into the western democracies. The apparent motive in closing Argentina, Bonn and South Africa is cost saving. However, these posts, or at least most of them, produce more income in consular fees than they cost to operate. Further, the closing of such functional diplomatic/consular posts could and would cause a direct loss in economic opportunity for BiH, not to mention distancing Diaspora and friends from the mother country. It is an absolutely inevitable conclusion that Bosnia & Herzegovina has more government than it really needs or can afford. However, to argue that cutting costs in those institutions where BiH deals with its one million plus Diaspora and friends is economically counter efficient and insincere. The numerical and economic weight of the Diaspora and friends would be more than adequate to qualify this community as its own "entity." Which is exactly the point: While the current entity system in BiH is the greatest contributor to inefficiency and unnecessary expense, it has become a holy altar for most politicians from the RS and the high priests from the international community who see Dayton as one of Bosnia & Herzegovina's gods. Some would lead us to believe that challenging this altar is blasphemy. No, it simply means good economics as well as commitment to a future based on principles of justice, democracy, open society and integration into the Euro-Atlantic family. Closing embassies and consulates for the price tag of Republika Srpska and the entity system is a sacrifice on the innocent on a false altar. Croatia, Poland and other states that have a progressive strategy toward their Diaspora and friends have undertaken several measures to insure minimal representation and continuing ties with those living outside immediate borders. There are allocated representations in Parliaments and Ministries specifically empowered to address Diaspora needs. It's clear that while the "Entities" of BiH have garnered untouchable claims to existence, the "entity of the Diaspora" has faced increasing disenfranchisement and citizens and friends are facing ever greater obstacles to maintain relationships with BiH through consulates and other representative offices. Further, unlike most other progressive, democratic states that have embraced their expatriates, BiH's Diaspora has ballooned as a consequence of genocide and grave violations of international humanitarian law. The present course of neglect, marginalization, purposeful or otherwise ultimately could be challenged as in itself an extension of ethnic cleansing and a violation of international humanitarian law. Who wants to close the Embassy of Bosnia-Herzegovina in Buenos Aires ?